It is a cycle of captivity and exploitation, violence and abuse from which there seems to be no escape. That's according to the latest study on refugees in Libya by the Women's Refugee Commission, an international nongovernmental organization. The United Nations High Commissioner for Refugees (UNHCR) estimates that there are around 670,000 migrants in the North African country. It is believed that between 5,000 to 6,000 people are being held in camps there. Employees of the Women's Refugee Commission interviewed survivors in Italy and, among other sources, spoke with crews of rescue ships. "On their journey through the desert, many refugees are kidnapped by human traffickers and armed groups or taken to official prisons," Sarah Chynoweth, the study's author, told DW. She explained that violence, including sexual torture, is common in these camps: "It is filmed in order to put pressure on families to send money for their relatives' release. Those who cannot pay are resold or murdered." The study's findings are not new, but the magnitude and appalling nature of the details are. "These most serious human rights violations are taking place through partners of the European Union. This is what is now being expressed even more strongly," said Karl Kopp of the human rights organization Pro Asyl. He explained how the Libyan coast guard intercepts refugees and takes them back to torture camps. Since the traffickers' profits have fallen, they use torture to generate money. 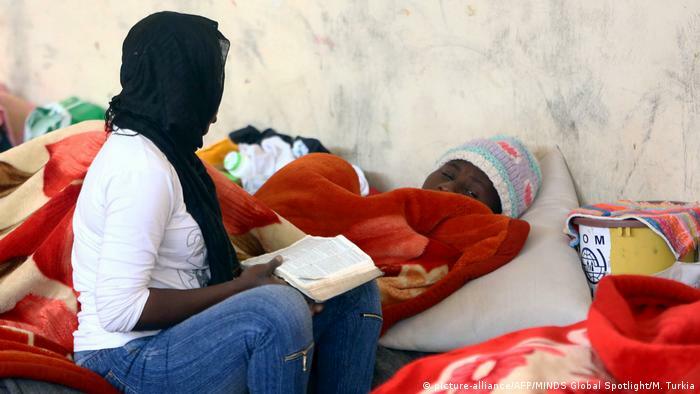 "We have seen a similar situation in Sinai, where families of women from Eritrea were blackmailed." The difference is that in Libya they are "our camps, recognized governments' European-funded camps, where the worst human rights violations are taking place," Kopp said, adding that this is being done in the name of Europe and is part of the agreement with war-torn Libya. On the whole, it is difficult to gather a complete picture of the situation on the ground in Libya. There are two camp systems, Kopp said. 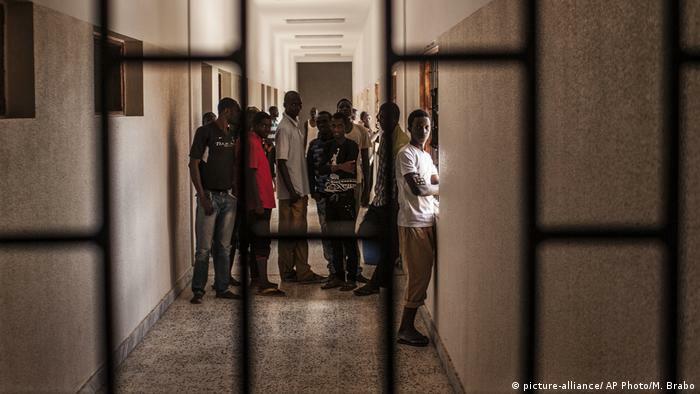 There are the official Libyan Government of National Accord's camps, where many atrocities take place "in close cooperation with the EU," and then there are unofficial detention camps. The coast guard, which is responsible for the official camps, is made up of religious extremists, militiamen, people smugglers and in some cases also human traffickers, as UN reports have already documented. At least part of the coast guard has been involved in human trafficking or continues to help carry it out. When it became known that people in Libya were being sold as slaves, EU representatives promised to evacuate them and bring them to Europe legally. Pro Asyl is critical of how this has been handled: "This process has been so slow and there are so few countries willing to accept them that the UNHCR says these people must stay in detention camps until there are places for them. 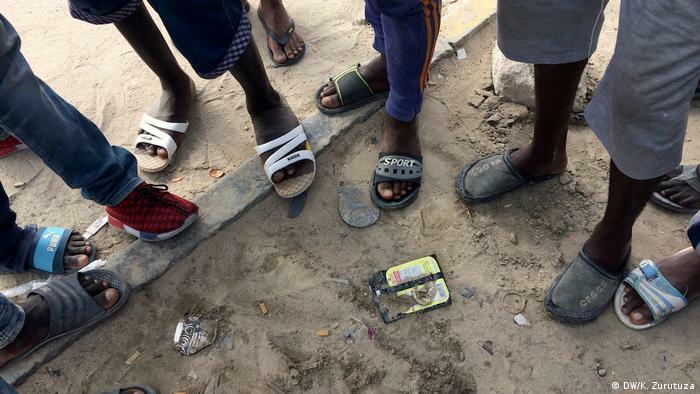 These people's suffering is linked to an inhuman European refugee policy." 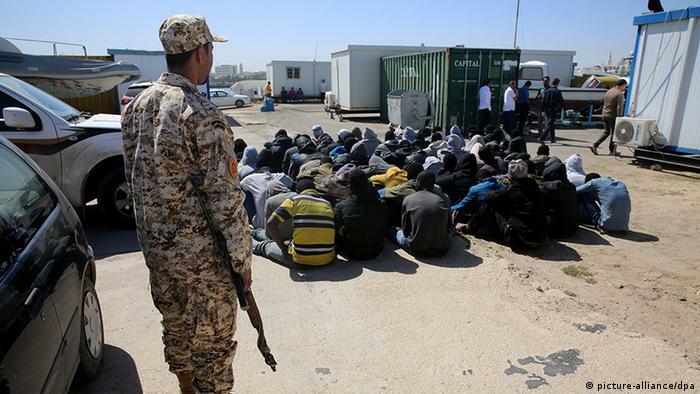 The sexual violence in Libyan detention camps is only the tip of the iceberg. The camps' living conditions are dismal. Kopp described how they are overcrowded, people are starving and almost every woman is a victim of sexual attacks. "There have also been shootings during protests. The EU must do everything it can to put an end to this," Kopp said. "What this means is that the EU is supporting these human rights violations because it is only focused on one issue: As few people as possible should come to Europe via the Mediterranean." "These militiamen do not see refugees as human beings, but as dollar signs, as goods to be exploited," Chynoweth said.